We are happy to announce a great new way to present your service options to your customer. All option boards of 3 or more options will now show an option cover sheet as the first page of your option offerings. On the top of the option cover sheet, we will show the summary of findings. 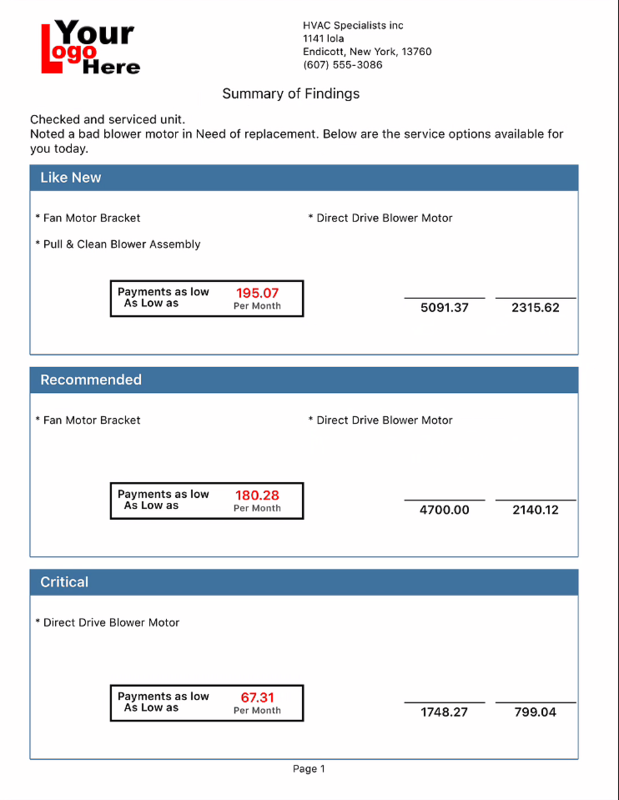 This is a brief description of the issue in your customers home that the option offering is meant to resolve. These new features will help take any confusion out your option offering. The below video will walk your through how and where to add the summary of findings. Take a look at the screen shots below for Summary of Findings information as well. 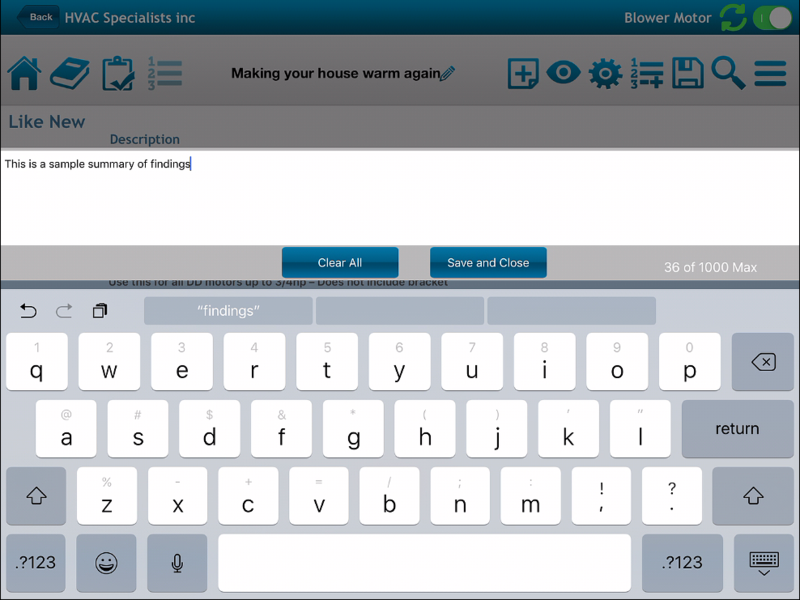 To add a Summary of findings, open or create an option board and hit the new "Add Summary of findings" button on the top navigation. 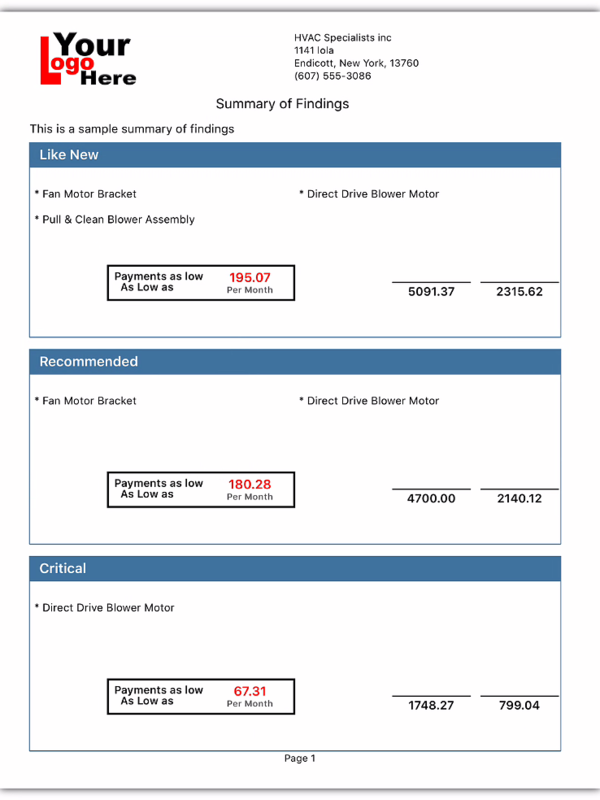 Then enter the summary of findings for your customers service or repair. Click "Save and Close" and view your option offering PDF.